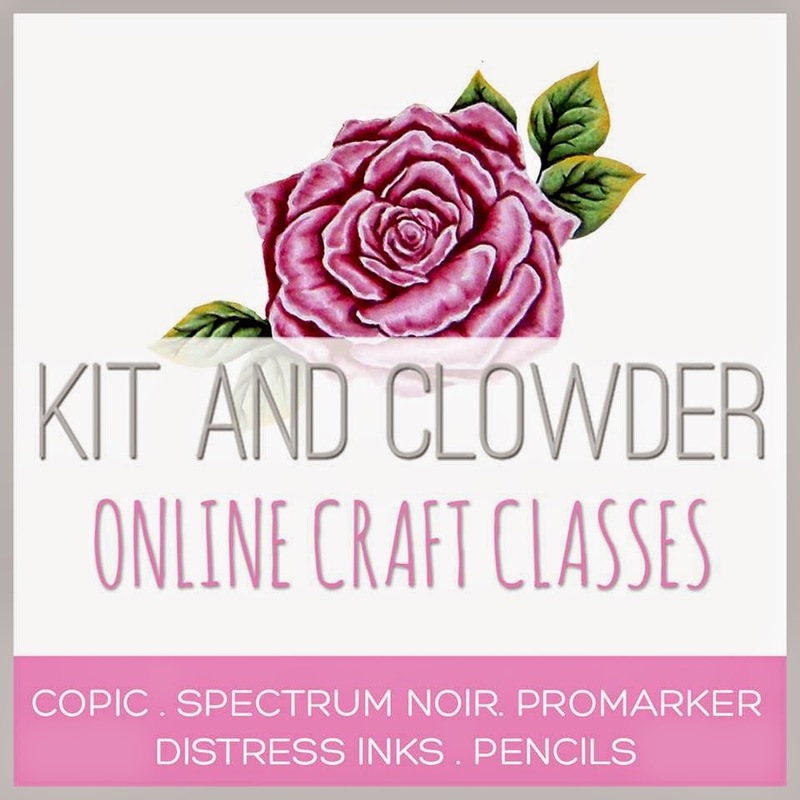 I'm here today to share my next creation for Craftin' Desert Divas! I hope that it inspires you! Isn't she just the cutest little fairy and oh so magical?! 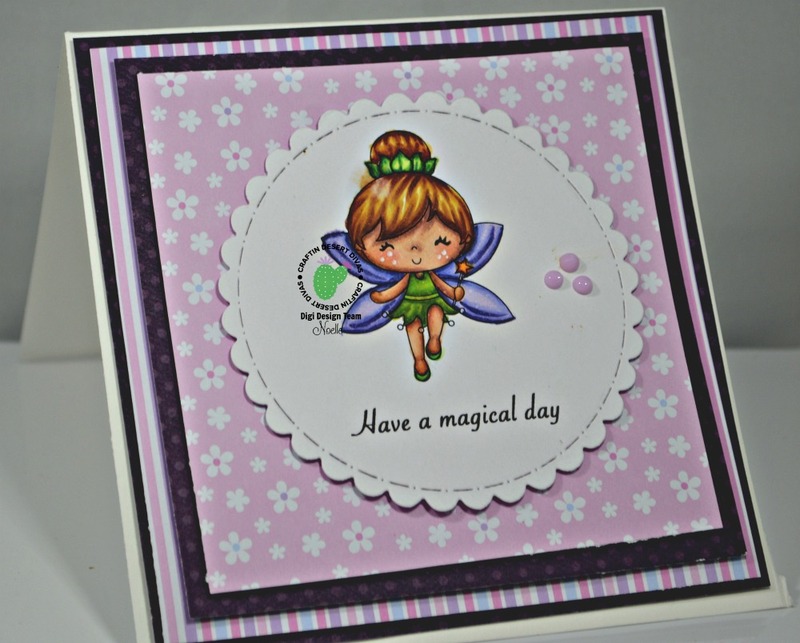 This cutie is called "Magical Day"! 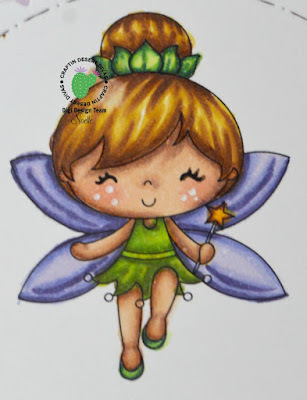 I colored her up like Tinkerbell with my copic markers and cut her out with the Stitched In Circles die set . I also added Nuvo Drops in "Sweet Lilac" and layered her on some pretty patterned paper with X-Press It 1/4" foam tape. Thank you for stopping by! Feel free to leave some comments and go check out the Craftin' Desert Divas Online Store! Tara has many goodies to offer. 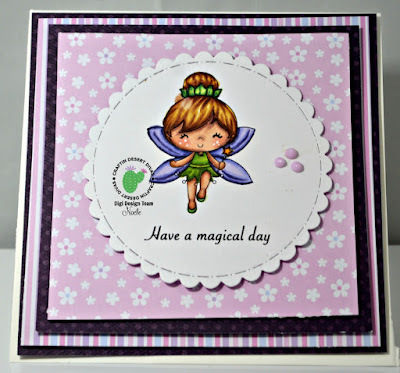 Don't forget, today is the last day for the February Challenge in our Facebook Group, Craftin' Desert Divas Gallery. Have a great day!